A mortician from Grand Prairie is among the latest group of castaways to hit the beach on the CBS reality television show “Survivor: South Pacific” this fall. The new cast members were officially announced on Monday, with two more to be named later in the week. The 23rd season of “Survivor” takes the hit show back to the South Pacific, where 16 new players will be joined by two unnamed returning players. The group will be split into two tribes – Savaii and Upolu – named for two islands in Samoa, where the series was filmed earlier this summer. The Redemption Island twist also returns, giving players who are voted out of the game a chance to come back, if they can defeat their fellow competitors in a duel. This new game element made its debut last season, where castaway Matt won nearly every Redemption Island challenge before returning cast member ‘Boston Rob’ Mariano ultimately won the $1 million prize. 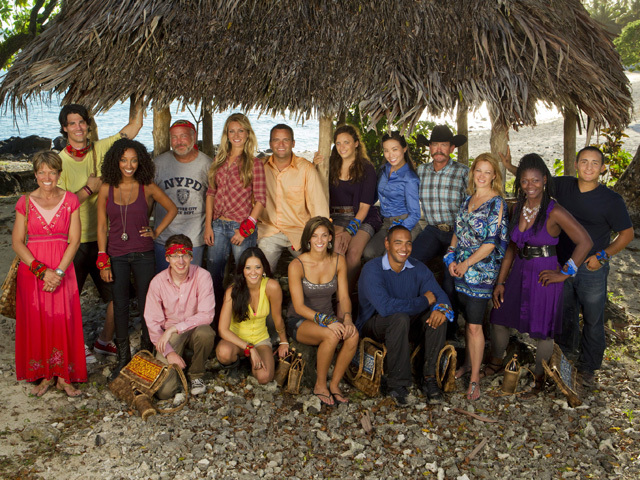 The new season of Survivor: South Pacific will premiere on CBS this September 14. Photo: Monty Brinton/CBS© 2011 CBS Broadcasting Inc.